Time to sell your Point Clear home? Read about today's home buyer. Point Clear is a Fairhope, AL suburb on Mobile Bay. 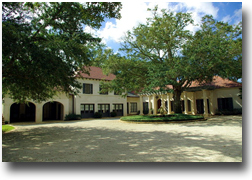 Point Clear is home to the Grand Hotel and it's Robert Trent Jones golf course or Lakewood Country Club. Point Clear has numerous restaurants, boutiques and is practically walking distance to downtown Fairhope. A sidewalk for doing just this runs parallel to Scenic Hwy. 98 and is perfect for strolls along Mobile Bay whether for exercise or just taking in the beautiful scenery. Many of the homes for sale in Point Clear are directly on Mobile Bay, have views or a quick walk to the water. A short drive takes you in to the business district of Fairhope which is consistently voted as one of the best places to live in America. Point Clear is approximately 40 minutes to either local regional airports located in Mobile, AL and Pensacola, FL. These cities offer a wide range of dining, shopping and entertainment venues that you would expect from such populated metropolitan areas. If you need further info, have questions or would like to schedule a viewing for any of the homes for sale in Point Clear or any other properties in the area, please email info@condoinvestment.com or call (251) Area-Pro (251-273-2776) for immediate assistance. 7.9 Acres In Great Location. Wetland Delineation And Use Is Responsibility Of Buyer.